In this essay, We find out why music makes us feel emotions. 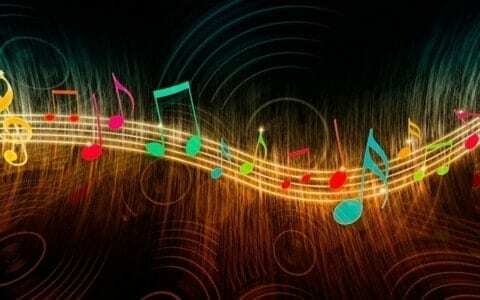 Because we recognize different speech and sound patterns as associating with different emotions and feelings instinctually, when we hear music that reminds us of these patterns we feel emotion. The tones and keys of the music also influences how we feel, as slow and minor keys we tent to associate with negative emotion and fast and major keys make us feel happy. Music Abstract by Alea is licensed under a Creative Commons Attribution-ShareAlike 4.0 International License.